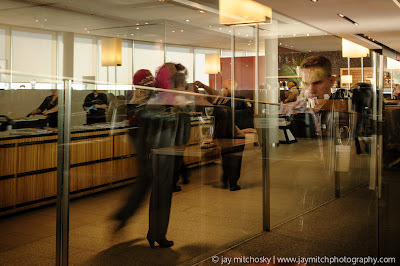 Airport lounges make travel easier. Much easier. More enjoyable on many dimensions. And while they're well secluded from the chaos of the main terminal it's still a busy place with plenty of hustle and bustle. Killing time, catching up, rushing out, sampling the free adult beverages. Much better than being amongst the rabble.